Emily is headed home. Home to where she grew up. Home to where many of her most treasured childhood recollections were born. Her parents are close to selling the farm and about to move out, allowing her one final glimpse of how things used to be. Follow Emily on this touching journey through the 1970's and onward, and reminisce heartwarming episodes of her life as she grew up. Meet childhood friends, play wonderful games, and get out of troubling predicaments in all-new levels of fun. With exhilarating tasks, captivating circumstances, rewarding trophies, and fabulous upgrades, Delicious - Emily's Childhood Memories is certain to find a place in your heart. Run restaurants and sell goods from the 1970's. Buy wonderful upgrades and hire hilarious entertainers. Win trophies and collect a whole scrapbook of memories. Delicious: Emily's Childhood Memories is rated 4.1 out of 5 by 38. 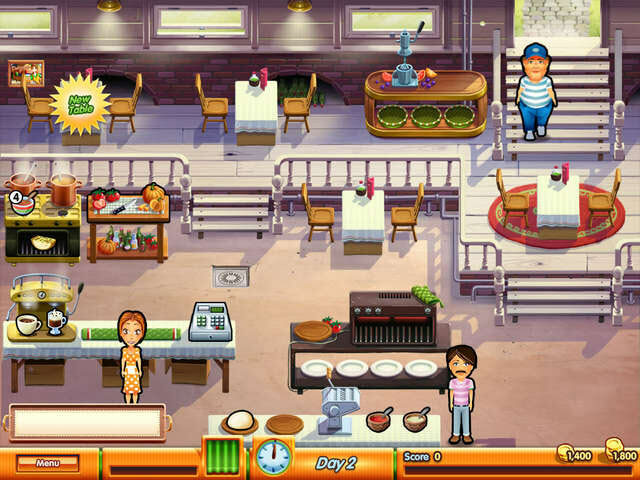 Rated 5 out of 5 by sixmo from "excellent time management game" My 1st "Delicious" game was "Emilys Honeymoon Cruise". I really enjoyed it. Then I scrolled more time management games and found 6 more delicious Emily games and bought all that my game site had. Please send Big Fish game site more. While playing the Wonder Wedding I found out that there is more of her games out there. I would love to play them in complete order. Thank You. Rated 5 out of 5 by Calliefornia from Amazing Game I'm really enjoying the Delicious Emily series. The story always makes me want to get the next one and the game play is one of the funnest in my opinion. It's not too hard or too easy and I love how you play a new location every episode. Rated 5 out of 5 by Vkann from Delicious Emily Games I have tried all the trals on these games, and I love them. There is one factor but my hands are not very quick, even on the Beginner's level I cannot do this. Would a relaxed mode be thought of maybe by the Developers. I would buy all of these games in that case. Rated 5 out of 5 by zownder from Love the look of this game in the series I've played all of the "Delicious" games with Emily and love them all. This one is great with it's 70's inspired costumes and the fun mini games in each section. 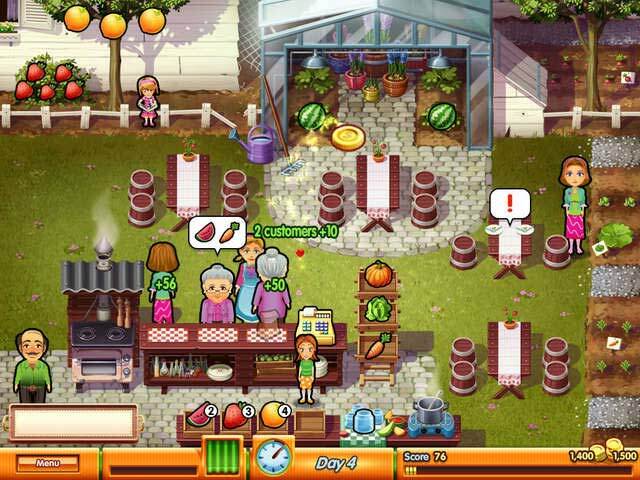 If you haven't played any of the "Delicious" games, I highly recommend them if you're a time management game fan. 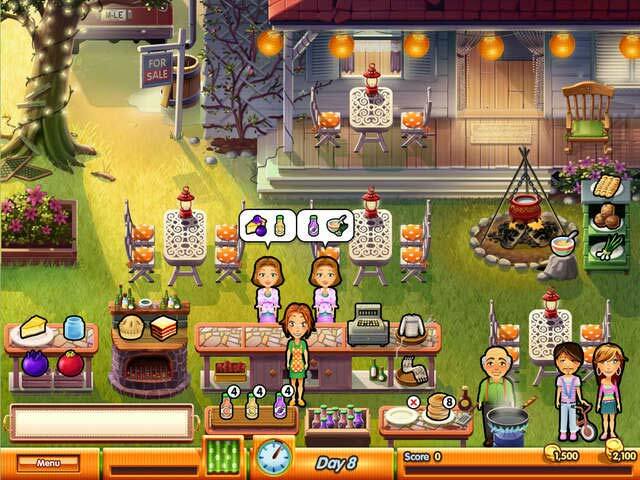 These offer several different levels of challenge, they have great mini games (such as finding a neighbor's dog and gathering flowers), they also have a great story line and build in difficulty as you go. I also love that you have to earn money for decor and items, find the mouse in each different level, and try to complete bonus challenges as well. Highly recommend this game. Rated 5 out of 5 by magicalblue from An awsome game. I would buy all the Delicious game as they are absolutely awesome and entertaining. bring more please. I'm still waiting for the very first one that came out. Rated 5 out of 5 by eme92 from I don't have the uncle's restaurant It's a great game but I don't have the uncle's restaurant where Emily's 21 ad her sister wants a tattoo. Rated 5 out of 5 by Deeisme from More Delicious ALL of The Delicious games are ALL my favorite games, of all times! To tell the truth, even though I own lots of TM games, I, for the most part, get really mad at those kind of games, EXCEPT The Delicious games. For the most part, even if your hands are very disabled, like mine, The Delicious games can be won, even if you have to 'redo', sometimes. LOVE LOVE LOVE, all the story lines! These games have very cute writers of very cute stories and a game, that I find, very hard, to close down. It is VERY cartoon-like, but that is just part of the charm of it all! I have NEVER EVER used the words, ''EXCELLENT'', ALL the way, except for The Delicious games. This one is just one of my favorites, so I decided to give this one a review, but try them ALL and OWN them all....I do and I am VERY happy I have them! Rated 5 out of 5 by juliabennett from A Great Chapter in the Delicious Series This is very much like Delicious: Holiday Season without all the interactive elements. It is amusing to watch Emily grow up and see the parents' style change. I also love getting the backstory of how Emily and Francois met and became besties. The time management is fun but not too hard. This is a great part of the Delicious story. One of the better Delicious games, but not my favorite. But well worth buying! Follow Emily on this touching journey through the 1970's and onward, and reminisce heartwarming episodes of her life as she grew up.